The launch of a new £5.7 billion fleet of high-speed trains descended into farce as the first journey was overcrowded, hit by delays and faulty air conditioning - all while the Transport Secretary was on board. The new fleet was hailed by Chris Grayling before the maiden journey departed as "a fantastic service" but he swiftly found himself trapped on a train packed with frustrated commuters. The fleet launched with great fanfare but the first journey was largely overshadowed as water poured from the air conditioning and the train was delayed by approximately 40 minutes. 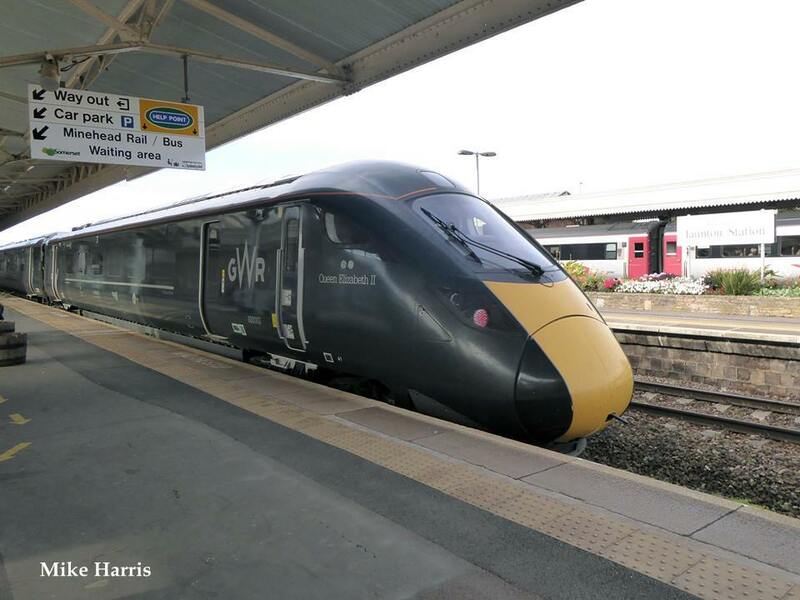 The new Hitachi-built Intercity Express train had been due to leave Bristol Temple Meads for London Paddington at 6am sharp but the Great Western Railway service did not depart until 6.25am because of unspecified 'technical issues'. Passengers were forced to stand despite claims that capacity on the new trains had been increased by 20 per cent. Meanwhile, the air conditioning had to be turned off and passengers who paid £204 for a standard return to London were left uncomfortably warm thanks to the unseasonably mild weather. One commuter had their laptop damaged as water from the air conditioning poured into one of the carriages with some people having to vacate their drenched seats. The problems undermined what was supposed to be a triumphant launch for the new trains which are supposed to deliver a better, more comfortable experience for passengers with more plug sockets and Wi-Fi throughout. But disgruntled passengers complained on social media that they would have settled for a train with seating they could sit on and that ran on time. Mr Grayling, who was on the first service, said before departure: "These are the smartest trains in the country, probably the best we have ever had in the country. "This is going to be a fantastic service, really regular trains and far more capacity." Karen Boswell, the managing director of Hitachi, was on board the delayed service alongside Mr Grayling and she apologised to commuters. She said: "I want to say to passengers that we are really sorry that the first service from Bristol didn't go as planned today. "I was actually on the train and the delay and water leak meant that it was not the standard of service we expect and are known for. "She said the train company “can and will do better” and that Hitachi was investigating the “root causes” of the problems. A GWR spokesman said: "Unfortunately, the train was delayed this morning due to a minor technical matter that was quickly resolved at the depot. “These trains have been running successfully on UK tracks for over two years and recently passed the industry standard 5,000 miles running without a fault. Hitachi will be investigating this matter thoroughly. "There was a fault with an air conditioning unit. Hitachi engineers were on board the service to fix it.